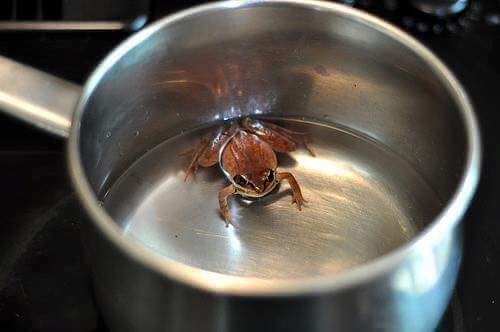 Put a frog into a vessel filled with water and start heating the water. As the temperature of the water begins to rise, the frog adjust its body temperature accordingly. The frog keeps adjusting its body temperature with the increasing temperature of the water. Just when the water is about to reach boiling point, the frog cannot adjust anymore. At this point the frog decides to jump out. The frog tries to jump out but it is unable to do so because it has lost all its strength by adjusting with the rising water temperature. Very soon the frog dies. I know many of us will say the boiling water, but the truth about what killed the frog was its own inability to decide when to jump out. If we allow people to exploit us physically, emotionally, financially, spiritually and/or mentally they will continue to do so.